Freya, on the verge of becoming a major pop sensation, loses her voice. Harun, planning to run away, has lost his true love. And Nathaniel, spending every last penny he has to come to New York City, has lost everything. But when a freak accident brings the three of them together, they discover that while each of them alone have nothing left they hold the key to help each other rediscover their own paths and be reborn. Along the way, the heartbreaks ("the order of loss," as Forman calls them) is laid out as an inevitable chain of events. A story as beautifully written and as lyrically sweet as this probably doesn't need to have its story dissected. 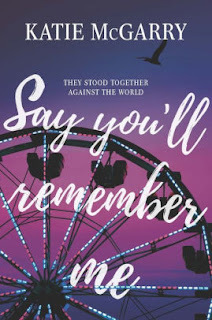 I've not been a huge fan of Forman's previous novels (I gave her bestseller If I Stay only a single star), but in this deceptively simple story about strangers who become friends, she has produced something quite profound. 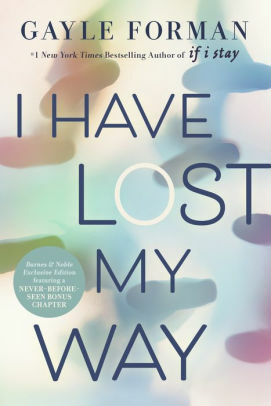 She's explored the way that individual losses and betrayals pile up and carve paths that send us to self-destruction, and shown how friendships can break and subvert that sense of predestination. The novel transcends its narrative, producing a story of hope and redemption that I think all of us (with our own losses and failures) ache for. 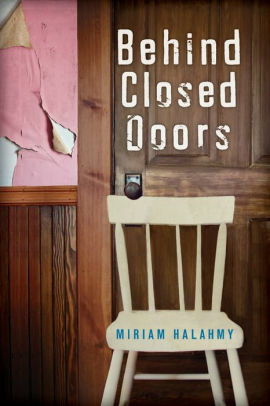 Because I felt let down by the ending which seemed so predictable and trite compared with the overall strength of the rest of the story, I hesitate to call it a perfect book, but Forman has at last produced a novel of substance that deserves the accolades usually laid on her bestsellers. Sent away to live with her Aunt for a year while her father was in an alcohol recovery program, Kira is finally coming back home. Dad has been discharged and as Kira comes back, she hopes to recover the way things used to be (without the drinking of course). But so much has changed. Her friends have grown distant and moved on. Her former boyfriend is now dating one of her former friends. And Dad, while no longer drinking, surrounds himself with his fellow recoverees, and Kira feels shut out. He’s even invited them to come live with him, which Kira resents. All of this is aggravated by Kira's unresolved hurt and anger at her father. 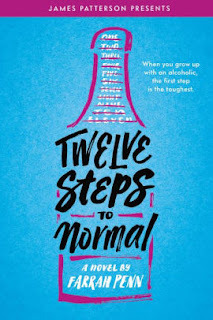 To articulate her problems, Kira drafts up her own “twelve steps,” which list out the changes that she feels will help her recover the (normal) past. Of course, it is not that simple. Entertaining read but generally predictable and formulaic. There are some nice characters like her father’s friends, but most of the roles are overly familiar tropes (the not-so-nice ex-, the sweet boy she always should have loved, the ineffectual Dad, etc.). It was a pleasant read but didn’t add much to the genre. That said, what it did do well is address the issue of the impact of addiction on family. Not just through Kira and her Dad, but also through the other recoverees, Penn effectively discusses the anger and grief of losing a family member to addiction. Vivian and her pack have survived among humans by keeping a low profile. Werewolves, they live together in a pack, moving on when they sense that the group is in danger. The pack however is being torn apart because one of their members is killing humans and bringing unwanted attention their way. Viv meanwhile has broken rules on her own: dating a human and then – in a fit of poor judgment – revealing herself to him. Worse, as the body count starts to rise, the evidence suggests that it might be Viv who is actually the murderer. I’ve never had much interest in supernatural YA, but I was given this book by an acquaintance in order to introduce me to the genre. I was particularly struck by one key difference from more realistic YA: werewolves are much more carnal creatures and Viv gets to exhibit a lot more sexual agency than a typical human teenager would be allowed. I wonder if that is in fact a big part of the appeal (be a werewolf and you get to lustily attack your boyfriend)? I enjoyed the introduction to the rituals of pack culture. I particularly liked all the references to wolf behavior (having observed wild wolves, I could picture a lot of what they were doing). And this particular novel seemed a good introduction to the idea. Storywise, there were way too many characters and the ending fizzled out. 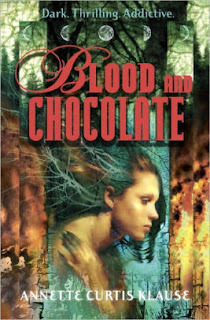 And a minor pet peeve was the title: there was plenty of blood, but no chocolate! But even if the novel was flawed, what an interesting diversion! Three teens who have lost loved ones recently cope with their grief. Autumn is unable to part with her BFF Tavia, to whom she sends IMs and emails, imagining that Tavia can write her back. Shay suffers from being "twinless" ever since her twin sister Sasha died of leukemia. And Logan struggles with guilt that the last thing he said to his ex-boyfriend Bram was that he hoped he "died alone"...and then he did! 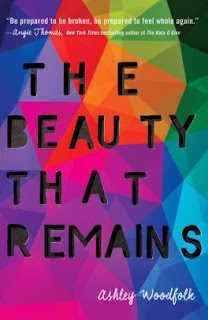 Through friendships, a decent amount of navel gazing, and a shared love of music, Autumn, Shay, and Logan pick of the pieces of their broken lives. While critically acclaimed, I simply couldn't get into this story. The writing is decent and the characters fairly distinct and well developed, but they are not terribly interesting. As for the story, I simply didn't find anything sufficiently novel enough about this book to justify it. The characters grieve in various (and different ways), but Woodfolk doesn't have much new to say about teens and death. 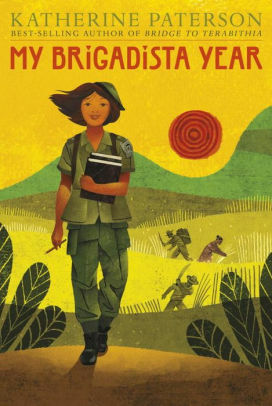 Told in the form of a fictitious diary, My Brigadista Year recalls how Lora, at the age of thirteen, participated in Cuba's experiment with promoting literacy. Joined by over 100,000 other Cuban young people, she and the others left their homes in the cities and went into the countryside to teach the rural poor how to read. They achieved a tremendous boost to national literacy, but it came at great risk and hardship, and no small amount of danger. For Lora (as for many of the real “brigadistas” upon which this composite was created), the year in the countryside was transformative. Lora's character is a true believer and follower of the regime so her story is told in unstinting praise of Fidel and the Revolution. Paterson acknowledges this and makes an effort in the book's afterword to balance the story. Still, the novel glosses over the mass murders and imprisonments that accompanied all this joy, and thus provides a very slanted view of the events. As such, it is probably best read as fiction inspired by facts than as a historical account. As a story, then, it can be a bit jumpy (as a diary is prone to), but is still a fascinating coming of age story with a cloistered young girl becoming a woman and realizing her ability to change the world. On Nadia's twelve birthday, the attention should have been all upon her and her lovely cake and her pretty dress, but instead the family was distracted by the news from Algeria, where a young vegetable seller had set himself on fire. Three years later, the "Arab Spring" has destabilized regimes across the region and Nadia's home city of Aleppo has been destroyed by competing factions in Syria's civil war. When continued existence in the city becomes impossible, Nadia's family packs up to flee across the border into Turkey. However, Nadia is separated from them and is forced to make the trek on her own. Allying herself with a mysterious old man and two boys, she slowly makes her way across the city, dodging competing factions of fighters and trying to stay alive. 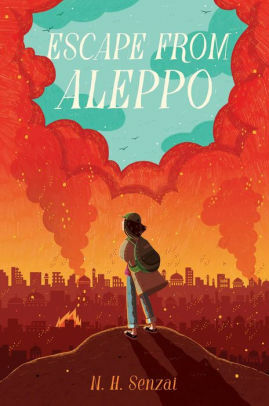 And whenever the threat of imminent danger subsides, Nadia has time to grieve for the loss of her once-great homeland as she remembers what Aleppo was like before. Senzai carves out a very ambitious task: to tell not only a horrific story of survival, but also explain -- in a way that is both accurate and appropriate for young readers -- how Syria fell into war. In succeeding at this task, Senzai exhibits not just a strong knowledge of Syria's political history, but also of what pre-war Syrian cultural life was like. As if that were not already enough, Senzai also addresses the emotional impact of the war on children, the struggle to preserve Syria's historical treasures, and the long simmering religious tensions that were exploited to propagate Syria's self-destruction. In the midst of all that, there isn't much room to build characters and Escape from Aleppo is not particularly fine literature. Nadia herself is an appealing and resourceful heroine, but the characters are largely underdeveloped. Rather, this book is an excellent introduction for young readers, and only secondarily an entertaining work of fiction. Josie’s mother is a hoarder and the house she lives in with her Mum is packed to the ceiling with junk. Josie’s never been able to bring friends over and now it’s so bad that she has the bathe at school. Still, her mother continues to obsessively buy more and more stuff until the day comes when she is arrested for not paying her taxes and Josie has to fend for herself. Tasha would be fine if only her Mom would get rid of her current boyfriend Chaz. He leers at her and, when her mother isn’t looking, touches her in inappropriate ways. No longer feeling safe at home, she sleeps over at friends’ houses until she wears out her welcome. With no where else to go, she finds herself staying with Josie. Together, the two girls use their wits and whatever resources they can find to avoid ending up on the streets or in the clutches of social services. I wasn’t really sure what to make of this novel. It’s a very busy story with lots of characters and they are not entirely memorable. The cultural barrier (US vs UK) doesn’t help. But ultimately, I just found myself turned off by characters that were so devoted to avoiding help. I get this fear of foster care, but compared to the risks to which they subjected themselves, it made no sense. Drix, convicted of a crime he didn’t commit, is given a break when he is enrolled in the governor’s juvenile rehab program. As a result, he has everything to thank the governor for. When a chance encounter with the governor’s daughter Elle sparks romance, it’s a match that is obviously out of bounds. Elle’s parents can’t allow their daughter to be seen with a convicted felon, but the greater concern is for the governor to be seen as playing favorites. Drix concedes as he has no desire to endanger his probation by crossing his benefactor. Elle, however, is tired of having all of her life choices dictated by her parents’ political ambitions. Her willingness to cross her parents, mixed with their passion for each other, brings them together despite the risks. A fairly typical teen romance that attempts to add gravitas with some nice statements about the bias of the legal system against poor people. For the most part, these don’t really sink in, and I was struck by the author’s glossing over race. Although it is never stated, Drix is probably black or multi-racial and Elle is almost certainly white. The economic divide is only part of the story, and I was left wondering about the motive behind skipping over race. But most of all, the story's focus on frivolous matters (like the puppy that both Drix and Elle fall in love with) undermines any value to the social agenda. This is best read as simply a lightweight teen romance.